Upon his return to the United States, Evans took a position at La Crema Winery in the Russian River Valley, where he focused on crafting Pinot Noir—and ignited an obsession with the grape. He then went to Alderbrook Winery in Dry Creek Valley, where he continued to work with Pinot Noir in addition to single-vineyard Zinfandels. While his focus was to expand his knowledge of Pinot, working with Zinfandel was one of the most influential aspects in his understanding of blending. From 2005 to 2008, Evans returned to the southern hemisphere, this time developing a Chardonnay and Pinot Noir estate for Vinedos y Bodegas Corpora in the Bío Bío Valley of Chile. 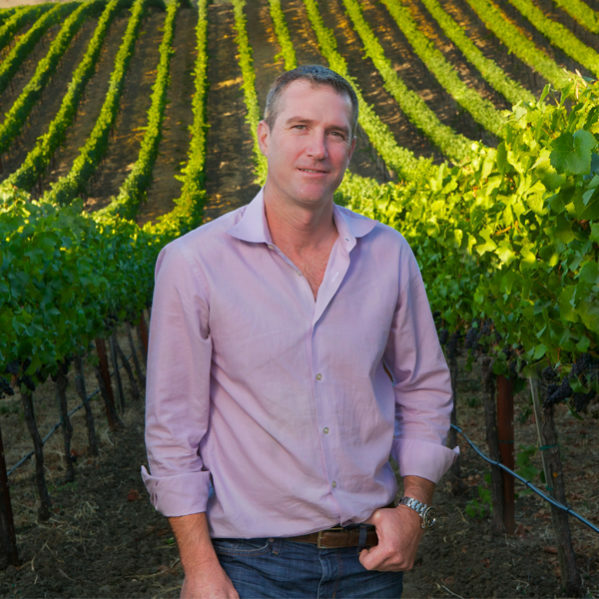 Upon returning from Chile, and drawing from his past experiences, Evans knew that Carneros was where he could best use his Pinot Noir–making skills. Domaine Carneros was an easy choice: It allowed him to apply his 10 years of experience to the still wines while also exploring the use of Pinot Noir in a way that was new to him—in the production of sparkling wine. In addition to Pinot Noir, Evans enjoys rock climbing, cycling and a little bit of yoga to get through the harvest.